We offer Pad Printing Inks in following grades. T-01: One component ink for compact discs and various other plastics. Suitable for high printing speeds and multicolor printing with intermediate drying. Multipurpose all material printing ink supports metals, alloys, rubber, polymer, mixed material. Applications :- To be used Toys, Electronics Objects, Automotive, Medical Equipments, Sports Equipments. Tested and Certified by local laboratories. Pad Printing Inks, Pack Size: 1 Kg. Being a leading enterprise of this industry, we are offering a huge range of Pad Printing Inks. So as to attain extraordinary levels of consumer trust, we provide to our patrons Pad Printing Ink. Sericol Ink, Pack Size: 1 kg. Available Colors: Red, Yellow, Green, Blue etc. We are offering Pad Printing Inks to our clients. 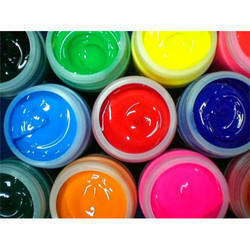 Counted as one of the prominent supplier and importer of TOSH Pad Printing Inks. 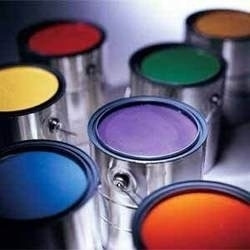 we are involved in offering an extensive range of TOSH Pad Printing Inks. These inks are made from the utmost quality raw material and using modern technologies. These inks are extensively acclaimed for high color strength and fast drying property.